'Sovereign Gold' or Ardenbrite No.8 paint was developed by the Ardenbrite company over a century ago as a real alternative to gold leafing. 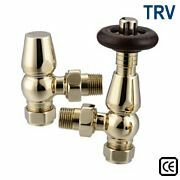 This traditional paint colour has a patented design that uniquely incorporates real metallic particles giving a rich and vibrant gold finish to your cast iron radiators. Ardenbrite are the original range of metallic paints that have been used on cast iron radiators for generations and are the recommended paint colours for historic restoration projects.Whilst this paint it a little more expensive than modern interpretations, for true period authenticity - you should choose Ardenbrite paint for your cast iron radiators. 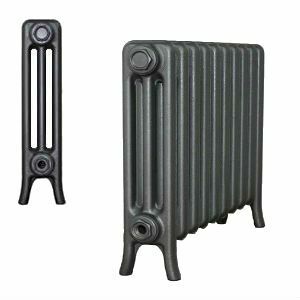 To select this finish for your cast iron radiator, firstly choose your radiator from one of our more than 100 castings and add to your cart the radiator in primer, then select this finish for the number of sections you have added to your order. For example - 2 X 10 section, Princess 810mm cast iron radiators: select 2 X 10 section Princess 810mm cast iron radiators in primer and then add 20 sections of this finish in the appropriate size. You can add comments to explain your order. Alternatively, if you would like to discuss this with us, please do not hesitate to call us on 01723 321 000 and we can produce a quote based on your specific requirements.